Meet your neighbor and Illini West Senior Jensen Corzatt of rural La Harpe. Jensen was born on June 19, 1997 at McDonough District Hospital in Macomb and raised on a farm outside La Harpe. He is the son of Wayne and Debbie Corzatt. Wayne is a farmer and Debbie is a medical coder at McDonough District Hospital (MDH) in Macomb. Jensen is the youngest of three boys. He has older twin brothers, Chris and Craig. Chris lives with his wife Deanne and son Nolan in Quincy and works at Ursa Farmer s Coop. Craig lives with his wife Kristina in Keokuk, Iowa and is the worship minister at the New Testament Christian Church in Keokuk, IA. Jensen is the grandson of Jean and the late Terry Mershon of La Harpe. Jean is employed at McDonough District Hospital in Macomb. Jensen is the grandson of Barb and Paul Corzatt of rural La Harpe. Barb and Paul both farm. Currently, Jensen is employed at Crop Production Services by Ferris through the coop program at Illini West High School. He plays on the Charger basketball and football teams at Illini West and he enjoys playing sports in his spare time. In his free time, Jensen enjoys hunting and being with friends and family. 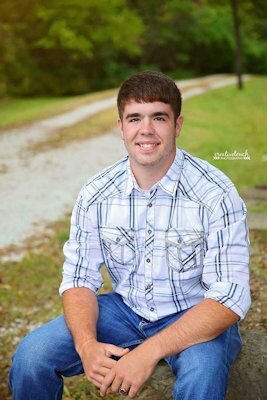 After his Illini West High School graduation in May 2016, Jensen plans to attend a 4-year college and pursue a degree in business agriculture.